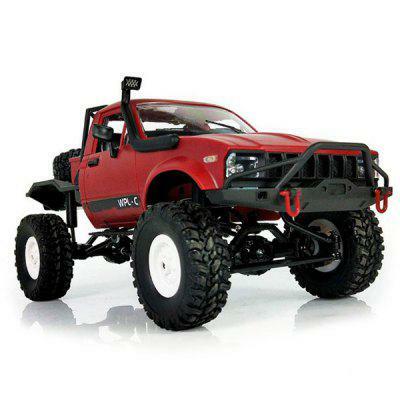 When it comes to picking out a new R/C vehicle, the possibilities are almost endless. For those of you looking to save some money on your next radio-controlled model, you may find the allure of off-brand machines too great to resist. While you can save money on some of these models, there are a few items you should keep in mind. In this episode of the RC Newb Podcast, I share some pros and cons concerning off-brand radio-controlled machines. Thanks to Joshua Dockins for his support of the RC Newb Podcast (as my latest Patreon patron)! Learn how you can support rcnewb.com and the RC Newb Podcast through Patreon. Thank you to Pro-Line for their support of the RC Newb Podcast. As a “thank you” to listeners, you can save 10% on your next prolineracing.com order with coupon code RCNEWBAP10. If you want to customize the look of your Traxxas, LaTrax, or Redcat Racing controller, check out the line of 3D printed controller wheels that expansionrc.com has to offer. Use coupon code RCNEWB at checkout and save 10% on your order.